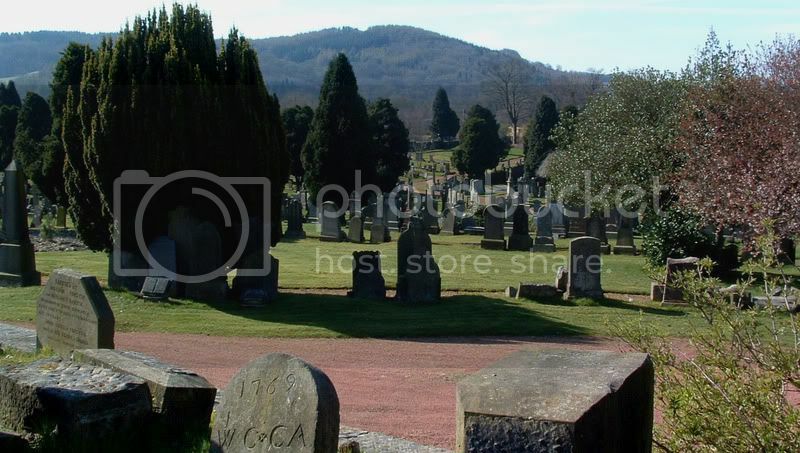 Kilsyth was laterally part of Stirlingshire. Additional information:	Son of John and Elizabeth Caldwell, of 27, Parkburn Rd., Kilsyth. Grave/Memorial Reference:	2nd Extn. 516. 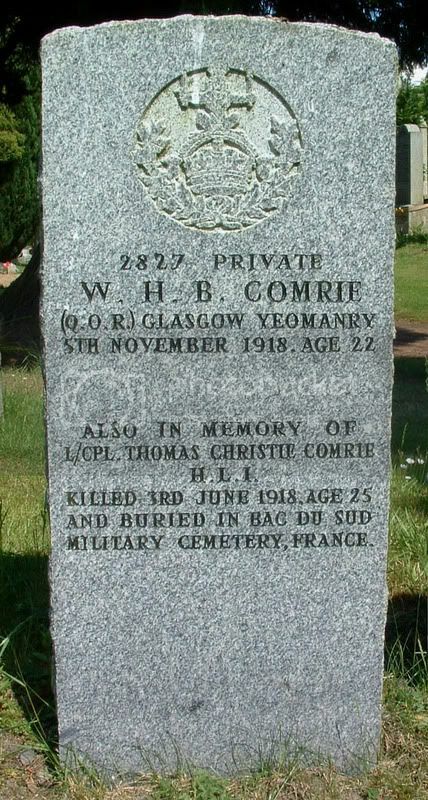 Additional information:	Son of Matthew D. and Margaret Christie Comrie, of 183, Dalness St., Tollcross, Glasgow. Born at Kilsyth. Grave/Memorial Reference:	2nd Extn. 940. Other	latterly 151309. Machine Gun Corps (Infantry). 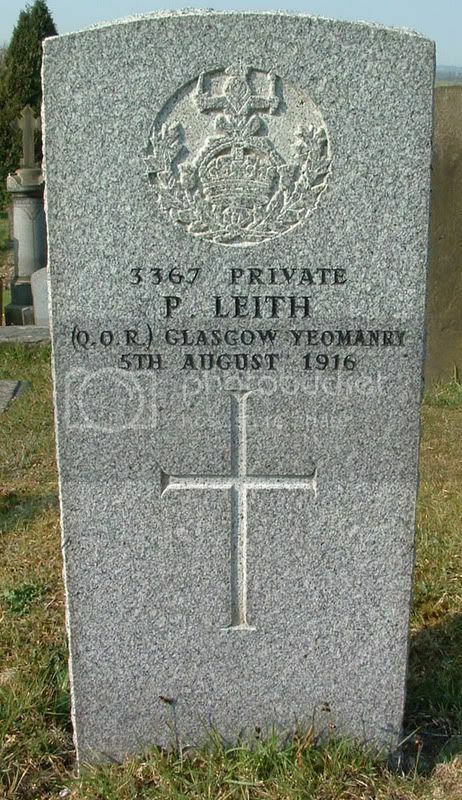 Grave/Memorial Reference:	I. E. 16. Grave/Memorial Reference:	Extn. 3. 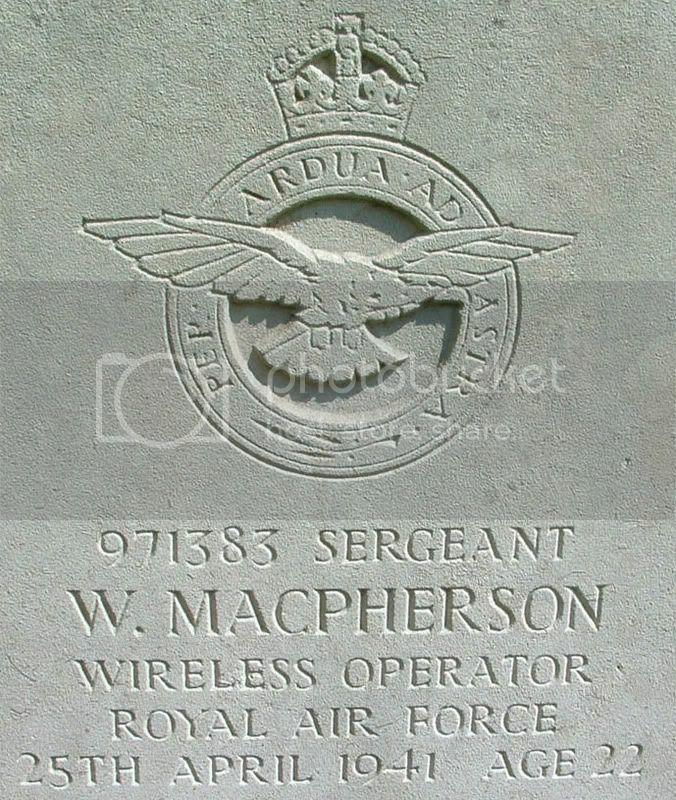 Grave 971. Theatre of death	R.A.F. B.C. 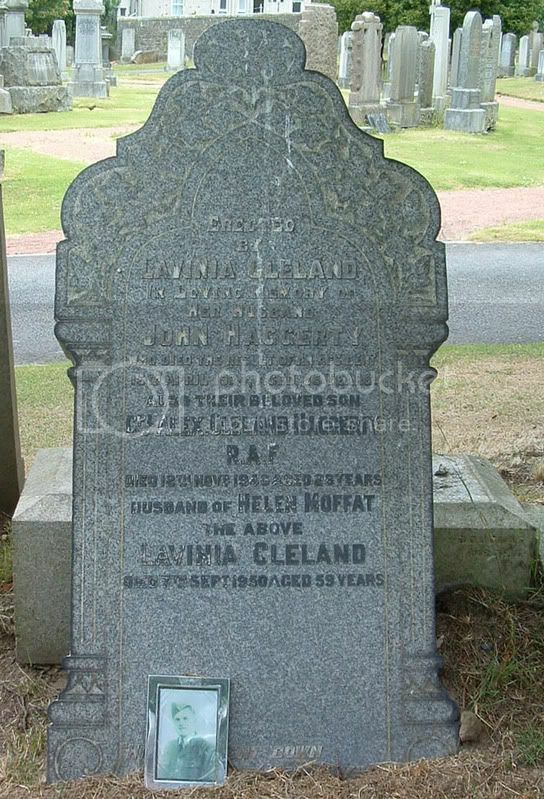 Additional information:	Son of Alexander George and Isabella Elliott (nee Ramsay), of Kilsyth. Grave/Memorial Reference:	Extn. 3. 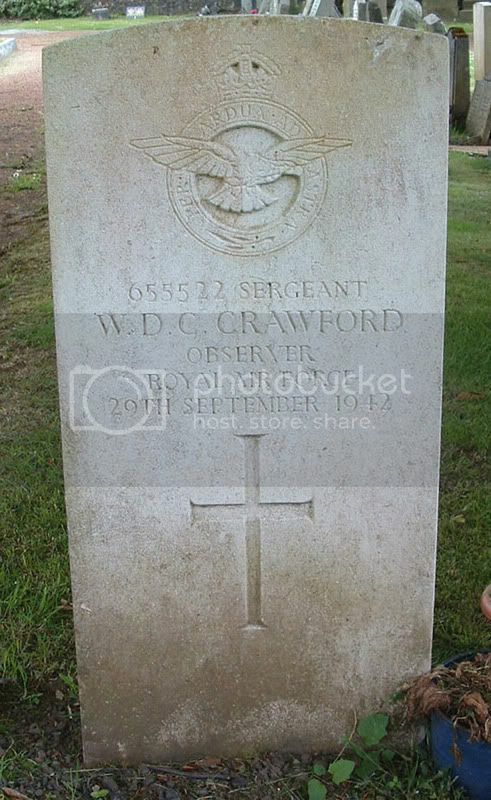 Grave 1009. Theatre of death	R.A.F.V.R. F.T.C. Grave/Memorial Reference:	2nd Extn. 1231. 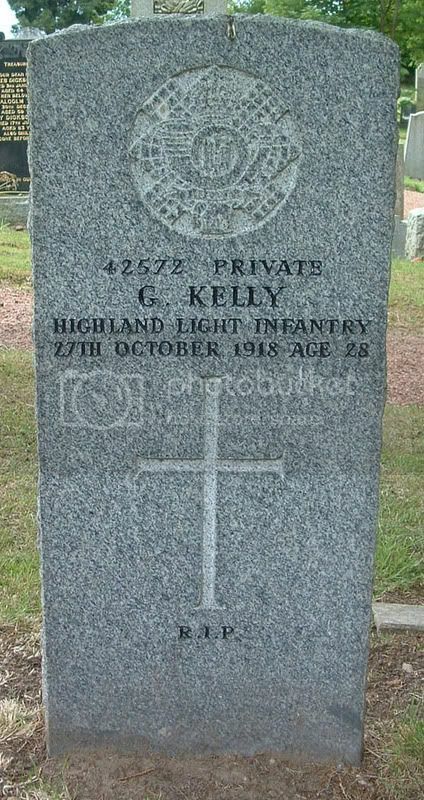 Additional information:	Son of John and Lavinia Haggerty, of Kilsyth; husband of Helen Haggerty (nee Moffat), of Kilsyth. Grave/Memorial Reference:	Extn. 3. Grave 669. Theatre of death	R.A.F.V.R. T.T.C. 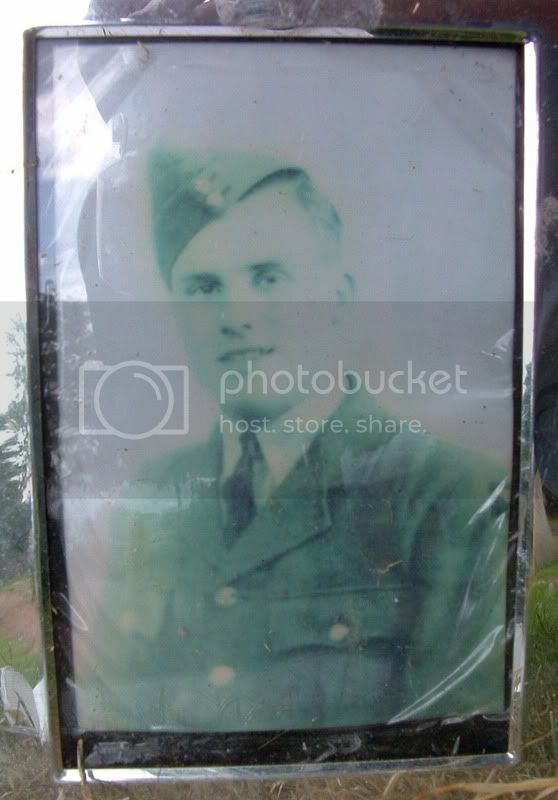 Additional information:	Son of Bernard and Jane Hendry, of North Barwood, Kilsyth. Grave/Memorial Reference:	2nd Extn. 181. Additional information:	Son of Christopher Kelly. Born at Kilsyth. Grave/Memorial Reference:	3rd Extn. 274. Other	12th Bn. formerly 24501 R. Sco. Fus. 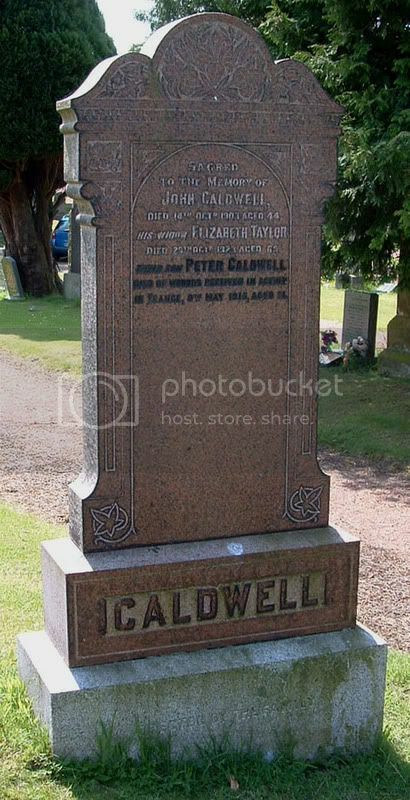 This stone in located in Kilsyth Churchyard. 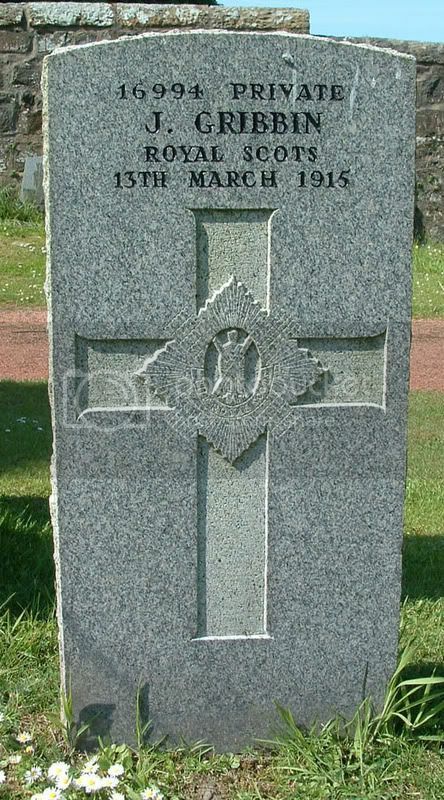 In addition to the above CWGC stone in the Churchyard, there is also a Family Stone in Kilsyth Cemetery which commemorates the above man and in addition, commemorates his brother Duncan who died earlier the same year. 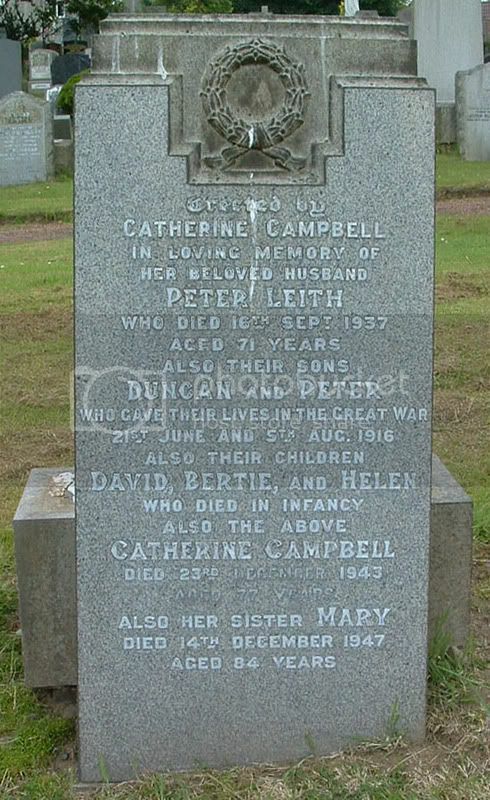 Additional information:	Son of Peter and Catherine Campbell Leith, of Unitas Terrace, Bonnybridge, Stirlingshire. 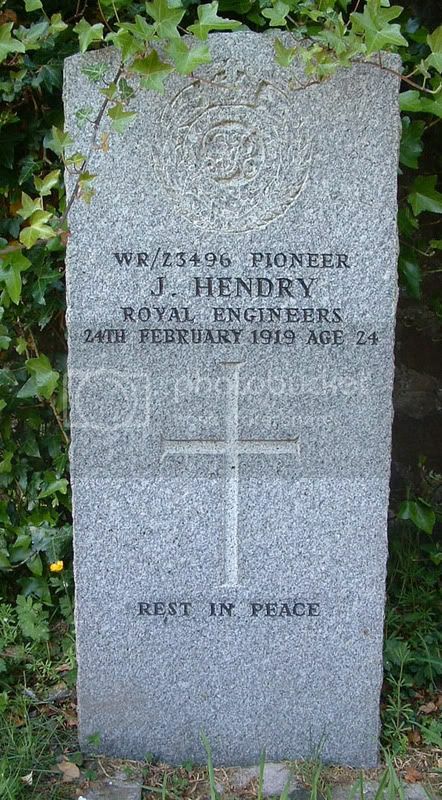 Grave/Memorial Reference:	V. E. 55. 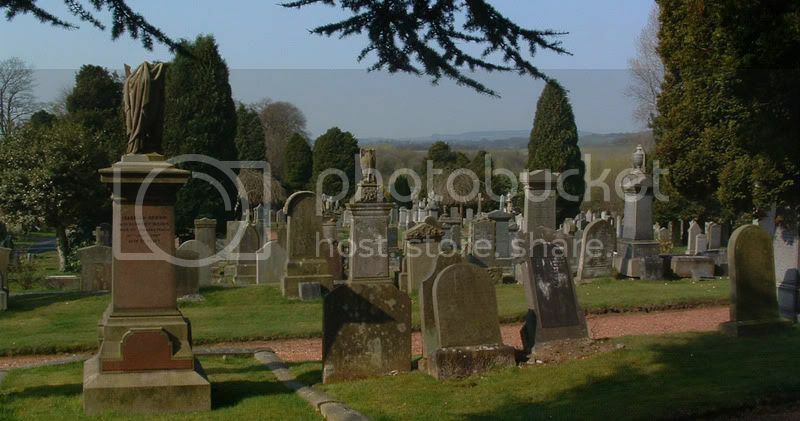 Additional information:	Son of Hugh and Janet MacPherson, of 27, Kelvinside Avenue, Glasgow. Grave/Memorial Reference:	2nd Extn. 59. 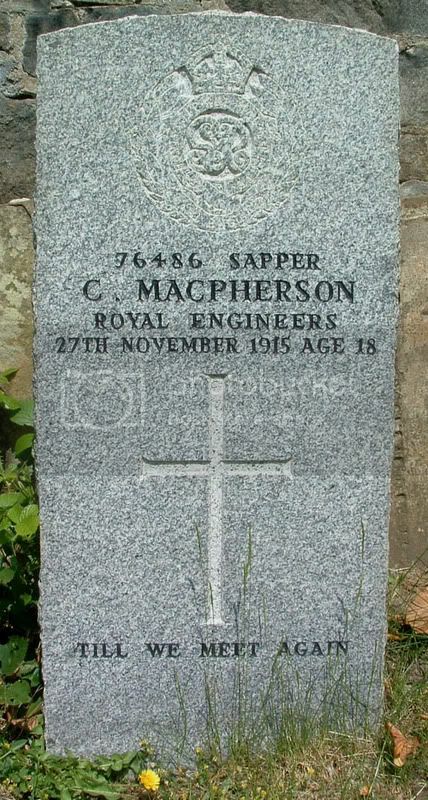 Additional information:	Son of William MacPherson, and of Agnes M. MacPherson, of Kilsyth. Grave/Memorial Reference:	Extn. 2. Grave 847. Theatre of death	R.A.F.V.R. C.C. 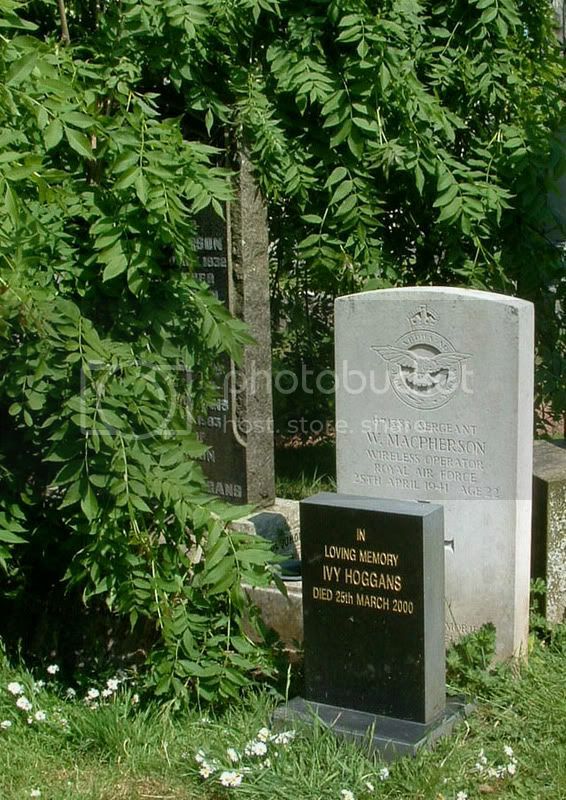 The family stone which the following cropped image is from, is almost completely hidden in the trees. 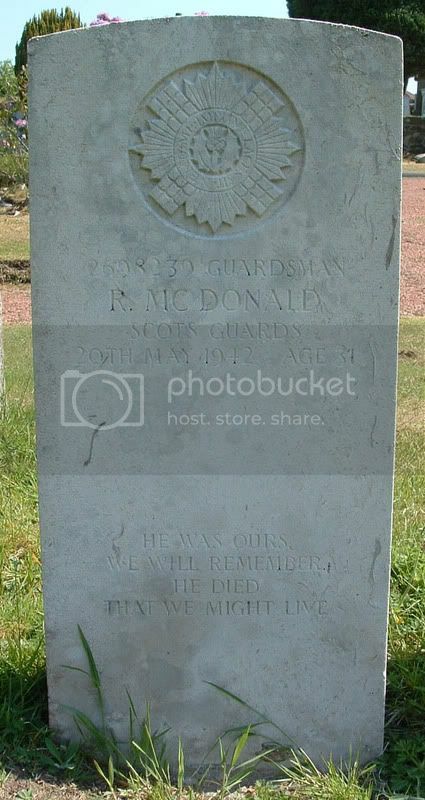 Additional information:	Son of Alexander and Jane McDonald, of Kilsyth. Grave/Memorial Reference:	Extn. 2. Grave 536. Grave/Memorial Reference:	2nd Extn. 259. 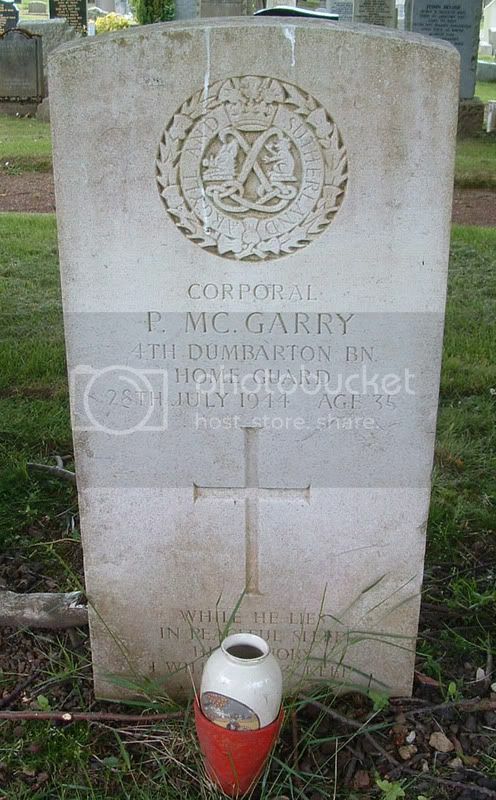 Unit Text:	4th Dumbarton Bn. 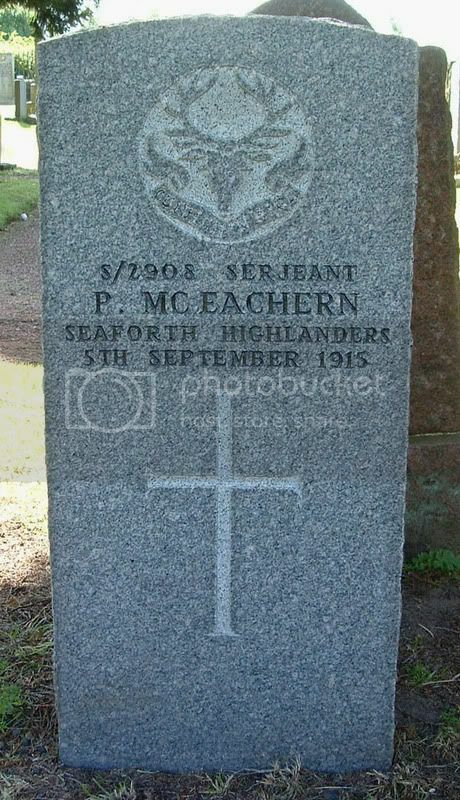 Additional information:	Son of John and Esther McGarry; husband of Florence McGarry, of Twechar, Dunbartonshire. Grave/Memorial Reference:	Extn. 3. Grave 1207.